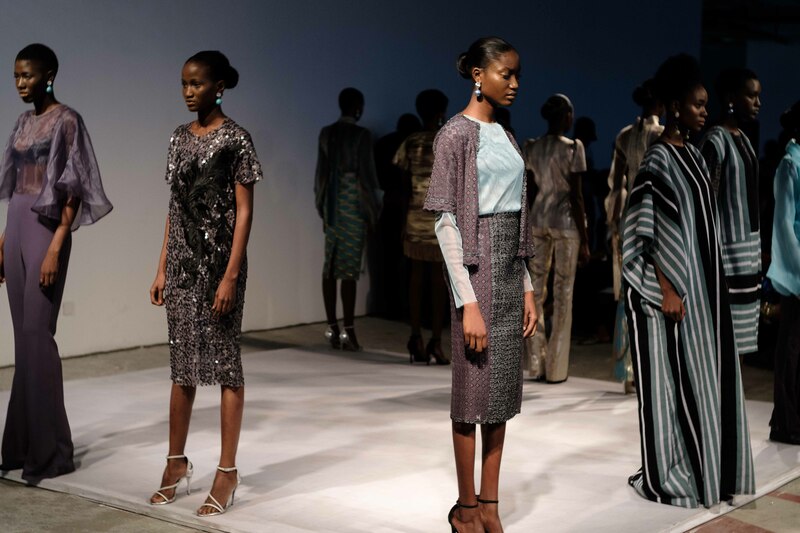 Last days of anything are always tinged with sadness, and so it was with Lagos Fashion Week. 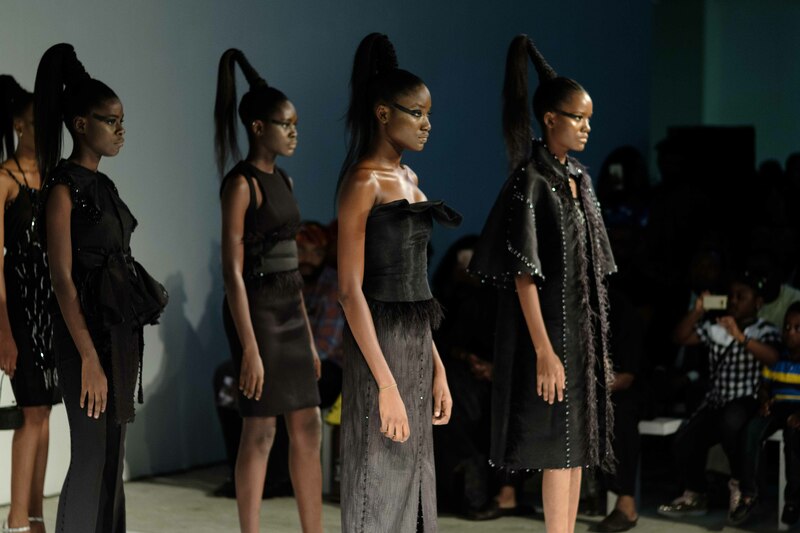 You get into a sort of rhythm and there is something about the different elements of the fashion industry coalescing, from designers, to conveners, to buyers, models and enthusiasts that reaches fever pitch at the end. We all have a part to play and together, with a prevailing wind, something can emerge. The day’s opener Maxivive certainly had community front and centre in his collection, with its glitter glitter drenched set that had ‘Glistening” emblazoned on a theatrical curtain. A baby’s bath and a lilo were placed stage left and right, a reference to water and it’s ability to both cleanse and renew. When the first model walked out, looking fab-u-lous in a green and red trimmed single breasted suit, hair in a bouffant and in full drag-make-up, we knew we were in for a drama filled ride that referenced the high-season of drag culture which was chronicled in the seminal documentary feature film, Paris Is Burning. The film was a watermark in putting a spotlight on the African-American and Latin Gay and Transgender communities and how they found self expression and freedom via the ball-culture, which in itself ended up in the mainstream via Madonna and her 90’s mega-hit Vogue. Our ring-mistress for the presentation, held court, as an array of men indrag make-up and women who were bearded and butched-up paraded around the set in the gender neutral pieces. Some viewing might have been so immersed in the theatre of the show that they missed the clothes so to speak, but there were plenty of pieces that were marvels in construction, and could, once runway styling was removed, be worn with aplomb. A midnight blue single breasted jacket with buttons on the back was shown here in for the evening only satin, however in a wool rendition would be a conversation starter and deal closer in any boardroom. Okay, maybe in an advertising agency or film studio rather than bank, but the main point is construction is second to none at Maxivive. Equally charming and is my own personal wish-list was a crisp white women’s shirt with dove grey gloves attached, a simultaneously practical, arresting and insane idea that solved the perennial winter minefield of lost gloves. And for those who have fully embraced athleisure and utility but want to up the ante, a tangerine boiler suit and an ensemble featuring lurex leggings worn with a jacket, oversize t and trainers were chilled by way of the disco-glam. 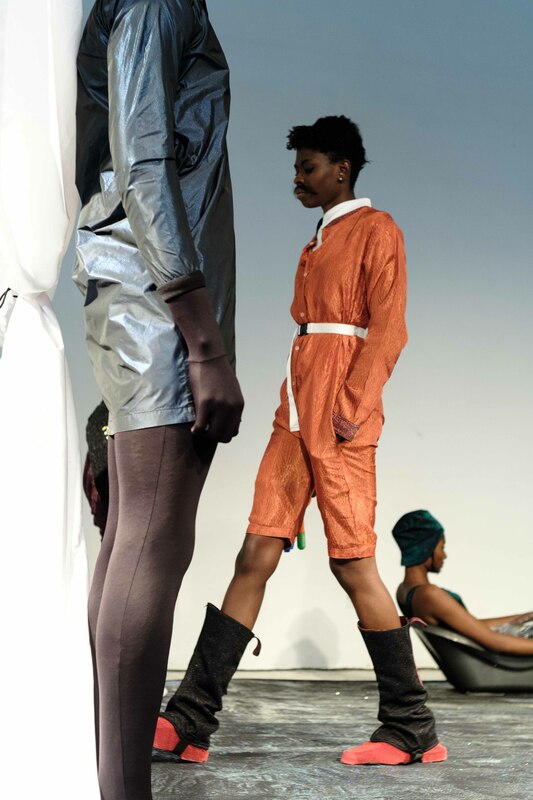 On a deeper level creative director Papa Oyeyeni was daring us to embrace our fierceness, queerness and individuality. Life was all too brief and glorious to fade anonymously into the background and the clothes we wear should be a statement of intentional living. Do you, and for goodness sake, take it up a notch. 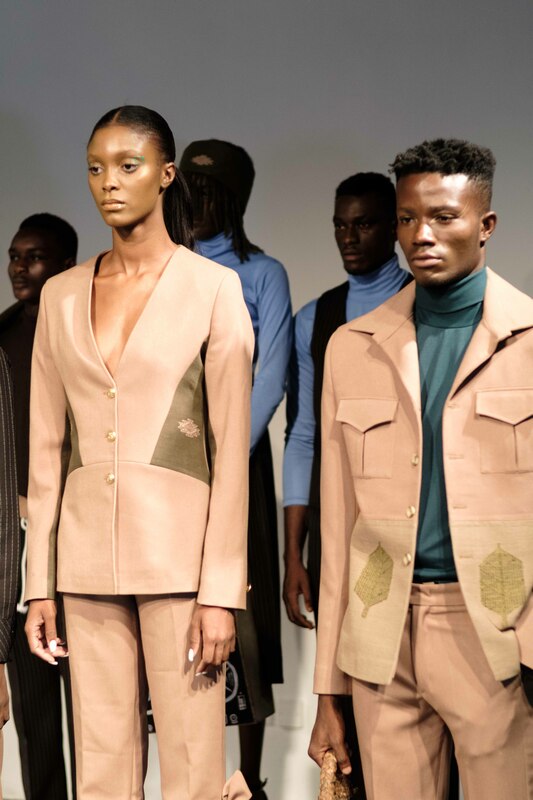 In contrast Sunny Rose’s Maureen Okogwu had entirely different ideas for the women wearing her pieces and the mandate said pieces provide. For the Sunny Rose woman life is all about luxe-living with a capital L with some gauzy silk aso’oke print and lace for good measure. The collection was evening and cocktail heavy, with a ball gown among the pieces alongside silk pewter jumpsuits, lace pencil skirt suits layered with turquoise long sleeved chiffon blouses and hip skimming boot cut pants in brushed gold and aquamarine. A sequence of teal, grey and white aso’oke pieces, the finest of which was a maxi house coat, brought to mind an At Home, the African edition, in a grand colonial era villa, complete with trays filled with champagne coupes and Salif Keita playing on the discreet Bose speakers as guests toasted the host on another successfully concluded multi-million dollar deal. Does the Sunny Rose woman work? Certainly, although the pieces evoked private income and philanthropy rather than running through the city hustle game on and with her spare phone plugged into a power-bank. But if a collection is about distilling what living the dream looks like, then this most definitely was it. And everything that went on the runway, had sell-fast and sell-out for a certain well-heeled customer. Before it had even commenced the Emmy Kasbit show was a sell-out as guests squished onto benches and resorted to standing to see the latest from this evergreen and ever-popular brand. 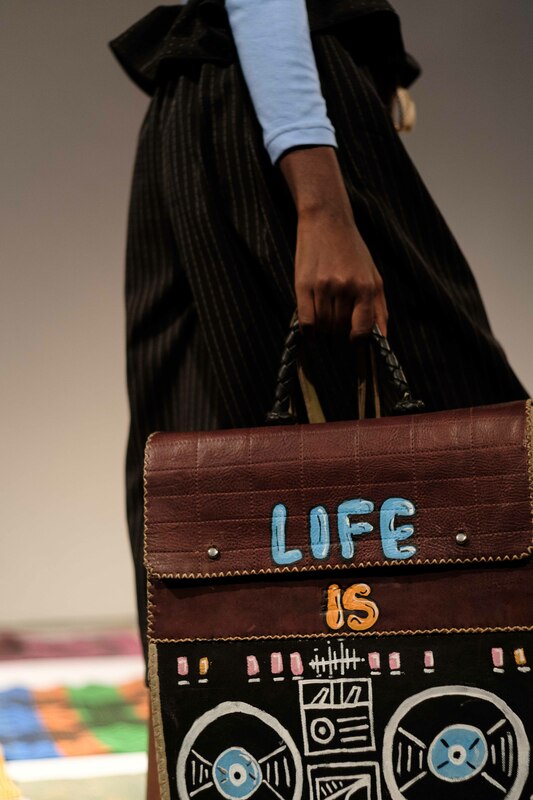 The ethical fashion moniker certainly helps in these environmentally conscious times and the added celebrity endorsement in the form of Chimamanda Ngozi Adichie is also a great way to ensure the tills keep ringing. However, this evening we also saw an assured collection that lived up to the hype and the major fandom action that was evident in the audience. 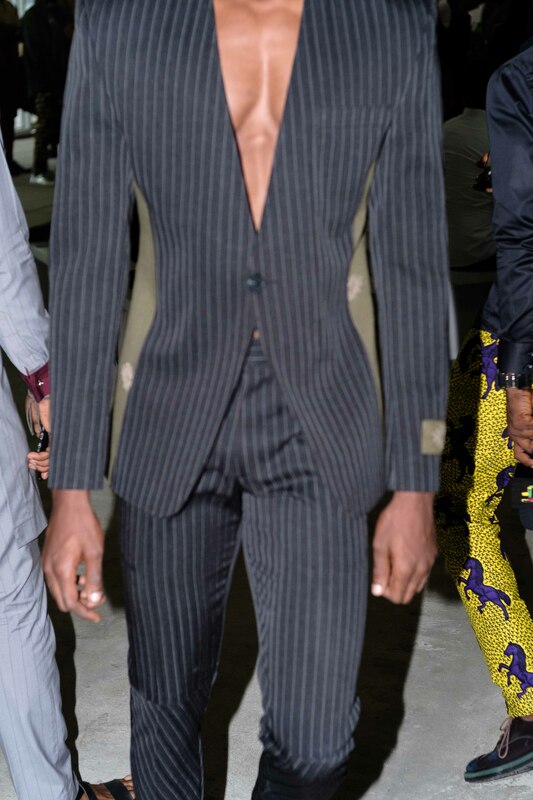 Conceived with a clear eyed vision the palette was restrained with pinstripes in black and camel underpinning the collection and pops of colour coming courtesy of either olive green aso’oke panelling or red and yellow rhombus patterned aso’oke. Polo necks in fire engine red, sky blue or grass green were the winter warmer of choice and accessories came in an assortment of outsize and exotic hides, some bearing slogans and art that are guaranteed to make even the dourest smile on the morning commute. The silhouette was slim and dare one say it unforgiving, but assuming you had been minding your carbs and visiting the gym you would look more than fantastic in everything. An assured showing for a brand that only seems set to grow stronger with each season. The night concluded with Onalaja, and she chose to do a sartorial deep dive into the art of dressing entirely in black. But with one caveat, make sure it’s high octane glamour, your heels are high hair scraped off your face and eyes are lined fullu. Hemlines and silhouettes moved around as colour was the only unifier so offerings ranged from a frou-frou A-line polka-dot netted cocktail dress to a long column dress, embellished evening coat, textured and structured culottes teamed with a silk vest and a pour-your-body-into boot cut jersey pant with beaded tunic top. It was very easy to see both the commerciality of this collection and by having such an array of silhouettes the way it would appeal to an audience, who judging from their cheers like to go out a lot and needed everything shown, like yesterday. 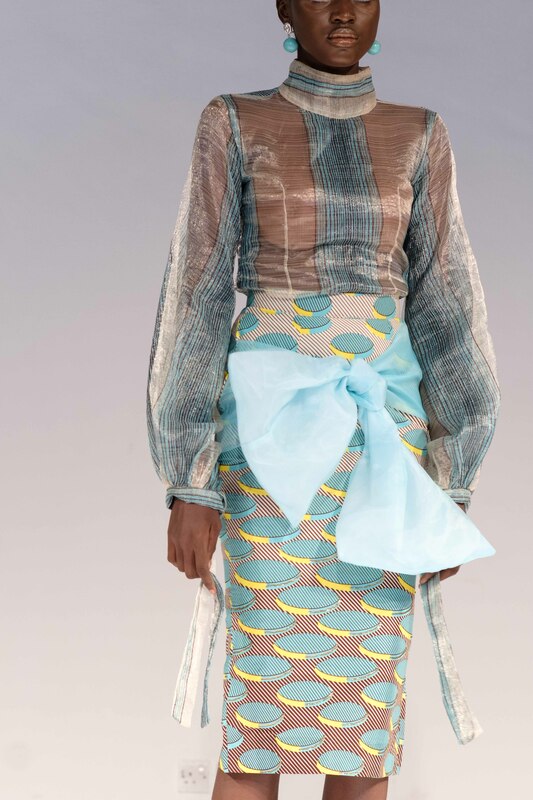 A fitting end to a Lagos Fashion Week governed by the see now, love now, buy now model. 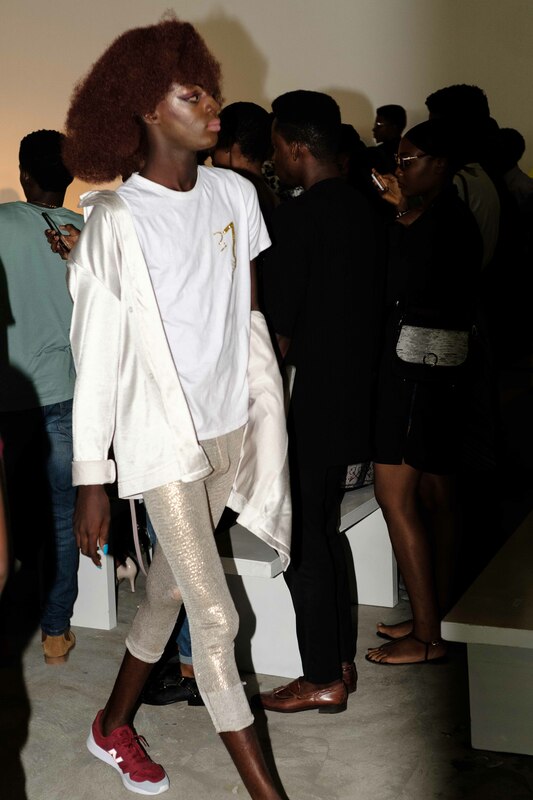 As the crowds walked out into the night, until the next October edition one couldn’t help but feel that increasingly Lagos Fashion Week is reflecting what the fashion industry is and should be: diverse, experimental, commercial, glossy and with a necessary dash of rebellion. 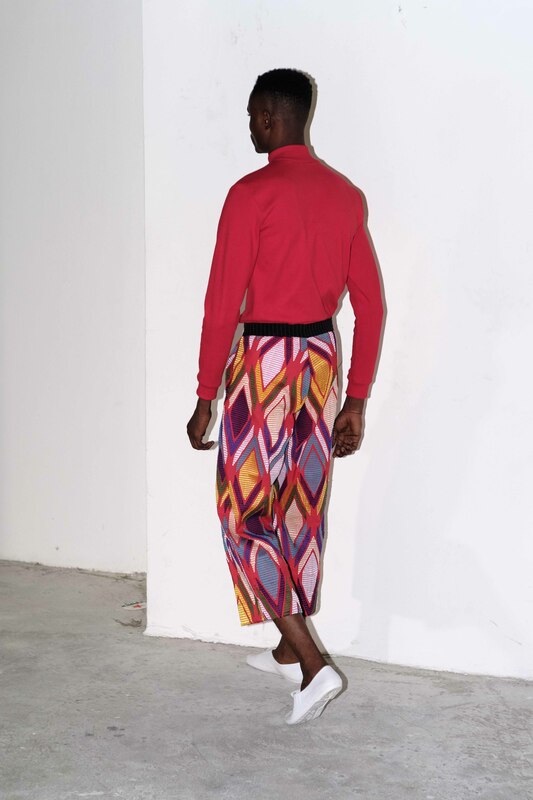 Just as we all do not look the same, nor should we all dress the same, and the twelve designers who showed shared their vision and kindly invited us to partake should we wish to. Some designers are clearly heading for the stratosphere, but all are an essential ingredient to the industry’s continued growth. 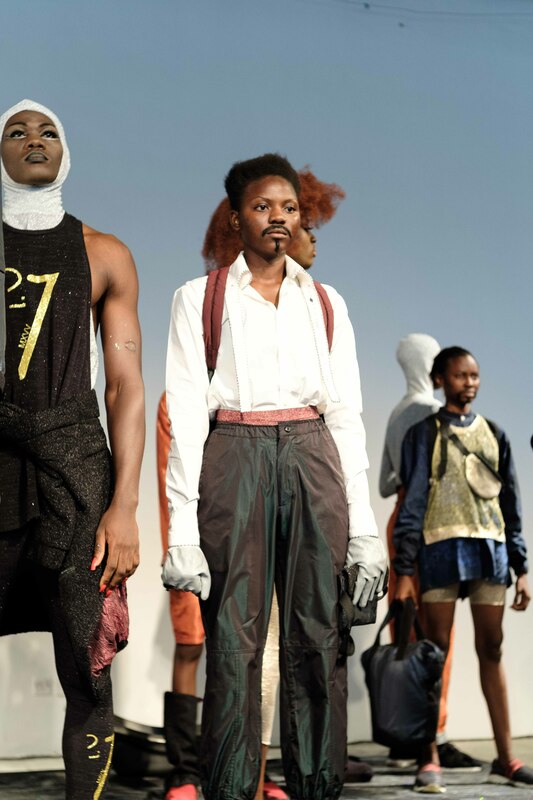 Whatever the world may say Lagos is an undeniable fashion capital, and with the necessary capacity building and further industry cohesion it will soon become a retail destination too. Absolutely loved reading this. 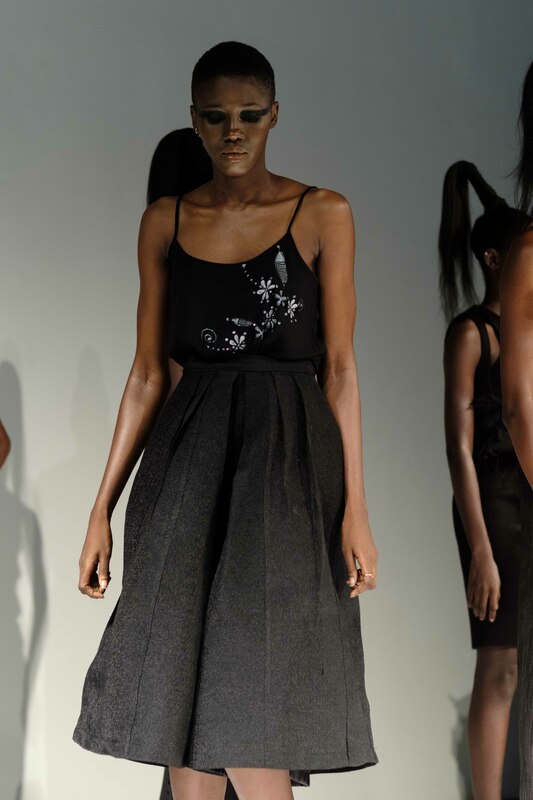 Maxivive’s show was refreshing, Emmy Kasbit was genius per usual and I felt a little empowered by Onalaja’s warrior hairstyle and all black collective.